Now I’m back from our first holiday as a family on the Isle of Wight (IoW), I can’t believe it took us quite so long to go there. 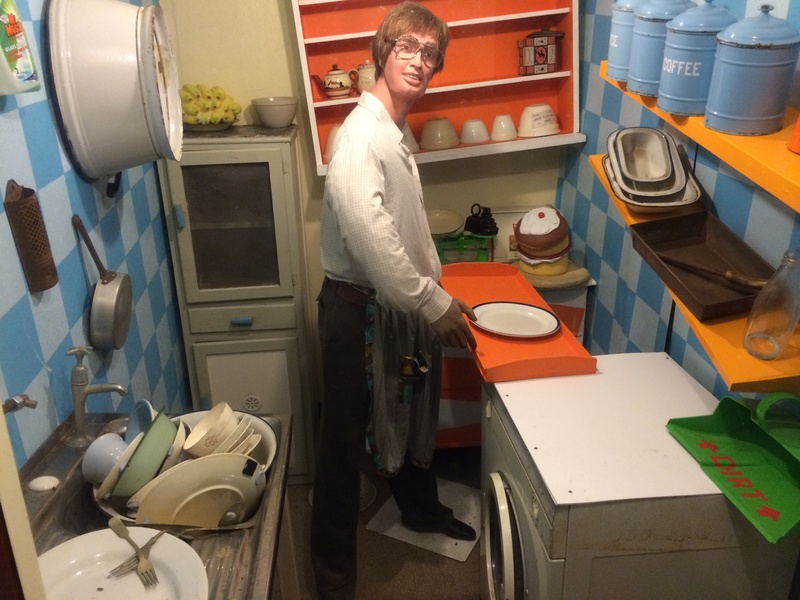 The attractions are obvious – particularly if, like us, you live in the South of England. First up, it really isn’t very far at all – just 3 hours door-to-door for us. But the just-long-enough ferry ride across the Solent made everyone feel we were going a long way away and that this was as exotic a holiday as ones that start at Gatwick. Secondly, it’s totally geared up for kids of all ages. The IoW’s been doing family holidays for years – the Victorians were big fans – and has amassed a smorgasbord of attractions. This meant we never wanted for something to do, even in the rain (dinosaurs are a recurring theme and were a big hit with my 6 and 3 year old). Thirdly, it’s really beautiful – much more so than I ever remembered from my childhood holidays (I guess I wasn’t paying much attention to the scenery when I was five). We stayed at the wonderful Manor Farm Cottage in the village of Wroxall near Ventnor and spent the week surrounded by stunning Downland. 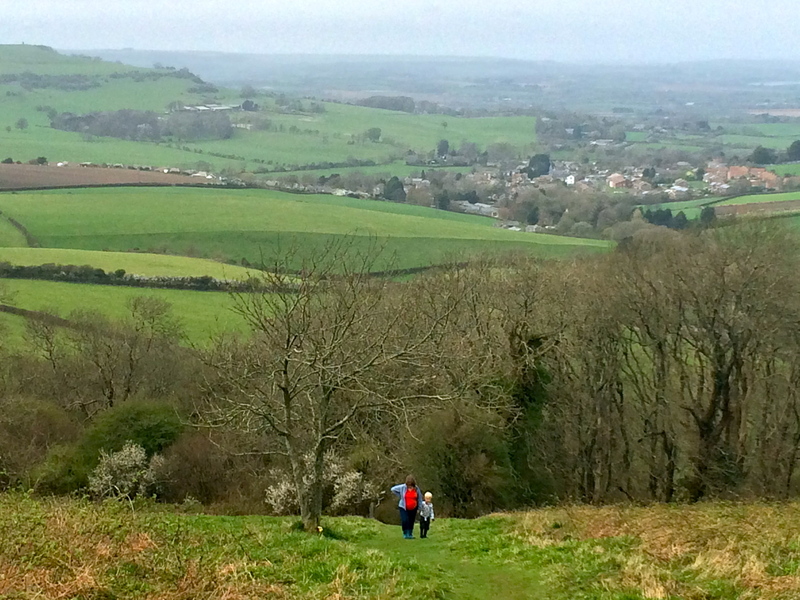 The bucolic setting invited afternoon rambles along paths lined with wild garlic and, for me, evening runs across the tops enjoying the outstanding views. Saturday was travel day. We had lunch at home before setting off for the ferry and took snacks, so our only expense was £3.70 for two babyccinos and one large tea (my wife and I shared!) at the Costa coffee shop onboard the boat. For dinner, we cooked using food we’d bought with us from the supermarket, so kept our hands out of our pockets. Sunday morning was rainy so we decided to head for Sandown Swimming Pool. We were pleasantly surprised by how cheap it was compared to our local – just £9.80 for the four of us (we’re used to paying nearly £20). As an added bonus, parking was free (up to 2 hours). We returned to the cottage for lunch and went for a blustery walk over the Downs from the door in the afternoon. Cost = nothing. Today saw the real spending begin! It was rainy again so we needed something indoors. Dinosaur Isle provided the answer. This interactive exhibit on the seashore at Sandown was pretty good – like a smaller, dinosaur-only Natural History Museum. The first section is a bit dull with one too many display cabinets full of fossils; but bear with it – the fun really begins in the main hall (Genevieve and Leo loved brushing off sand in a pit to ‘reveal’ dinosaur bones). A family ticket cost us £16.50 – but the really savvy were using their Clubcard vouchers to get in free. Parking cost an additional £3.40 for four hours (although you get a rebate of £2.50 with your entry ticket). For lunch we treated ourselves and splashed out £40 at the Garlic Farm. This was a surprise hit with the kids. Leo had fish and chips – not very garlicky at all; but the rest of us shared one of their platters, which included meats, cheeses and, well, lots of garlic. It was delicious and unique, though we honked for the rest of the afternoon. Take mints. Finally the sun shone on Tuesday, so we headed for the beach, to delightful Steephill Cove near Ventnor. Seriously chi-chi, this speck of the Isle of Wight is very much London-on-Sea with its boutiquey shops and cafes. We had a cup of tea for £1.75 in the morning, then lunched at the Beach Shack – which, unfortunately, was not a poster-child for good value. We paid £25 for some fairly ropey sandwiches and regretted it. Things picked up in the afternoon though at the wonderful Ventnor Botanic Gardens. By chance, they had laid on an Easter Egg Hunt which kept the kids amused; plus there’s a good playground and a really lovely cafe where we just had to buy a cake and a cuppa (£5; the kids ate their eggs). Total entrance costs were £17.50 (children under 6 are free). The sun really had got shining by the middle of the week, so we decided to make the most of the blue skies and head to the Needles. I fondly remembered Alum Bay from my holidays as a child – the chairlift down to the beach (cool!) and the coloured sands (great for souvenirs), and I was relieved that my kids enjoyed it all as much as I had. The difference now is the mini amusement park on the cliff-top that you have to negotiate. A bit tacky, yes, but actually great fun. You buy a pack of tickets that you can use against various attractions, including the chairlift. 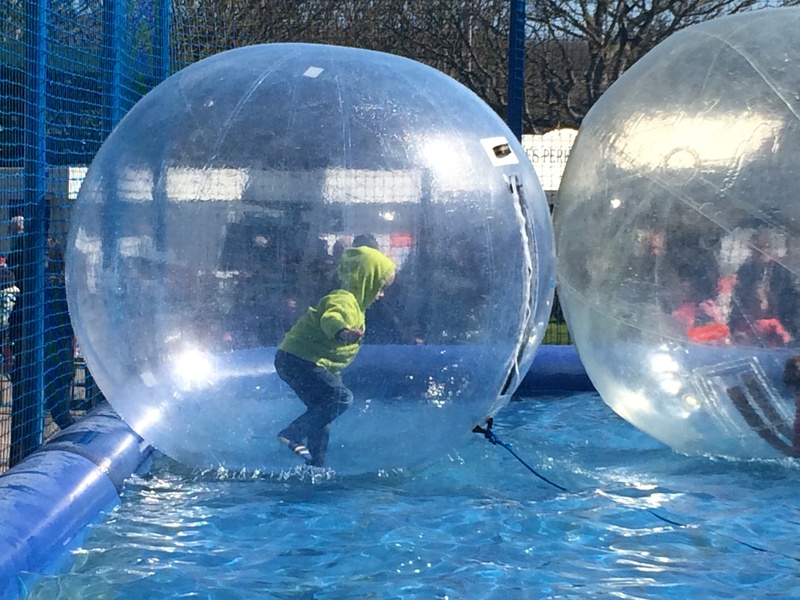 We spent £18 and gave Genevieve a go on the carousel and Leo 2 goes at aqua-zorbing! The sand souvenirs were another £9.50 and the car park was £4. Lunch was a picnic by the car (there were not too many plum spots about) and in the afternoon we took the walk along the rather precarious cliff edge to the Needles Battery. As we are National Trust members, entry was free – however, it’s pretty steep if you aren’t. Nonetheless, I can recommend it, if only for the 1940s themed cafe (£7 for two teas, 2 ice creams and 2 juices). The sun continued to shine on Thursday so we bowled out of bed and headed for Blackgang Chine (£44.85 for off peak entry for a family ticket). 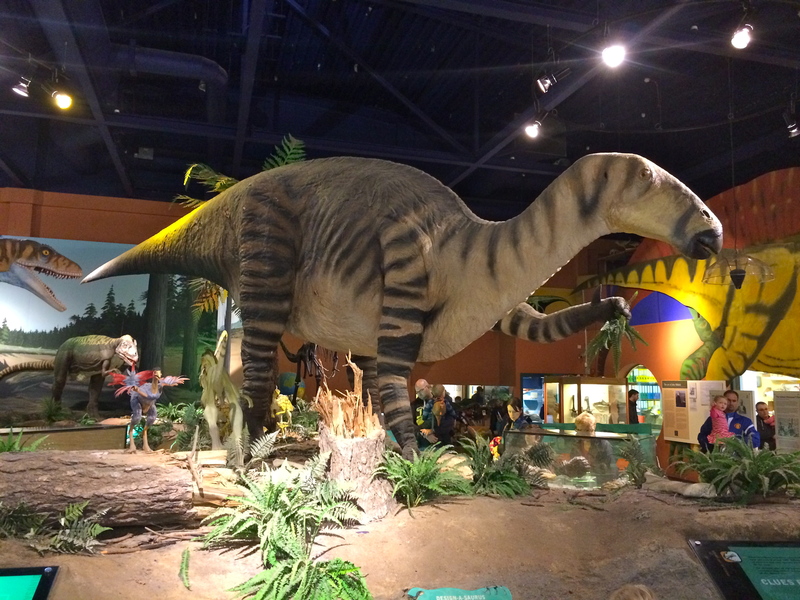 We had our doubts about this place – it looked like it could be tacky and tired – but actually it was brilliant; perfectly pitched at younger kids, and made all the better by the new animatronic dinosaur exhibit. As long as you’re not expecting Alton Towers – or even Chessington – it’s fine. We took a picnic (which I’d recommend as food choices were expensive and uninspiring), and just spent £3.85 on drinks. We rounded the day off back on the sandy beach in Ventnor, shelling out £1 on parking by the quayside; and a further £9.50 on ice creams. Our last full day, so after a lazy morning hanging out in the cottage garden (taking full advantage of the trampoline and swings), we headed off for lunch out the Taverners Pub in Godshill – highly recommended for its amazing pies. Total bill £40. In the afternoon, we booked onto a Fossil Walk (cost £16.50) organised by the crew at Dinosaur Isle. This guided walk along the beach at Sandown had us looking at boring old stones in a whole new light (Fossilised crocodile poo! Sponge fossil! Dinosaur footprints!). It was something different and Leo was pretty engrossed, though Genevieve’s attention and feet had wandered after 10 minutes or so. For our final activity of the day, I had planned to take the children for a trip on the IoW’s unique railway, serviced by ancient Tube trains. But, as time had run away with us, we settled for just watching one pass by the station at Lake. And that cost nothing. With just a cup of tea and a KitKat on the ferry back to Portsmouth to cover, this was a cheap day indeed. And, with such a short journey, we were back at our kitchen table for lunch at 1pm, congratulating ourselves on another highly successful holiday. 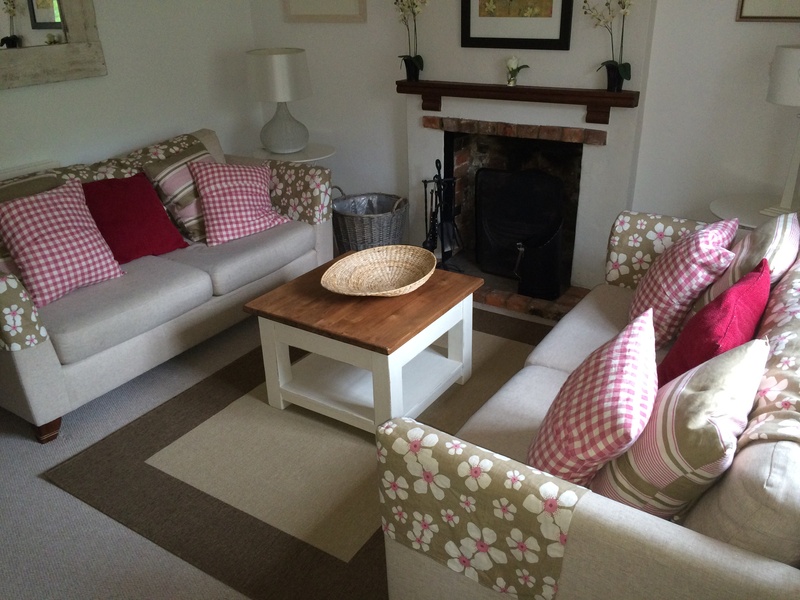 We paid £935 for a week in the cottage (this is peak rate as it was Easter holidays). Certainly not the cheapest on the Island – you can get a cottage for much less. But we thought it was well worth it – you’ll be hard pressed to find somewhere better equipped for children and as beautifully decorated on the island. 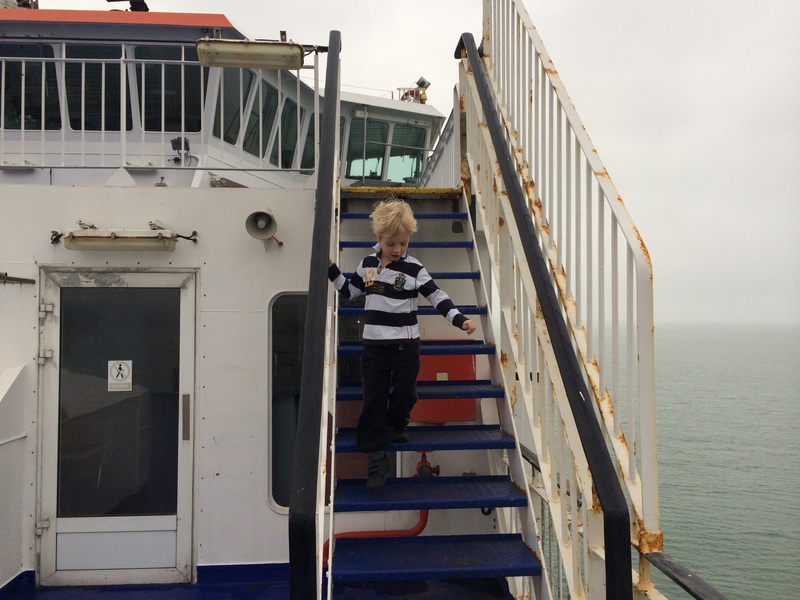 The return ferry crossing from Portsmouth to Fishbourne on WightLink was just £66. I kept an eye on prices and there were consistently higher – more like £130. But about 4 weeks out, I checked again and they had come down by half – so I snapped them up. We spent £135 on a supermarket food shop, which we did before we reached the island (not that you need to – there is a huge Tesco at Ryde and a Morrison’s at Sandown). We just didn’t want to waste precious holiday time wheeling a trolley around. We used about half a tank of petrol the whole week – so about £40. 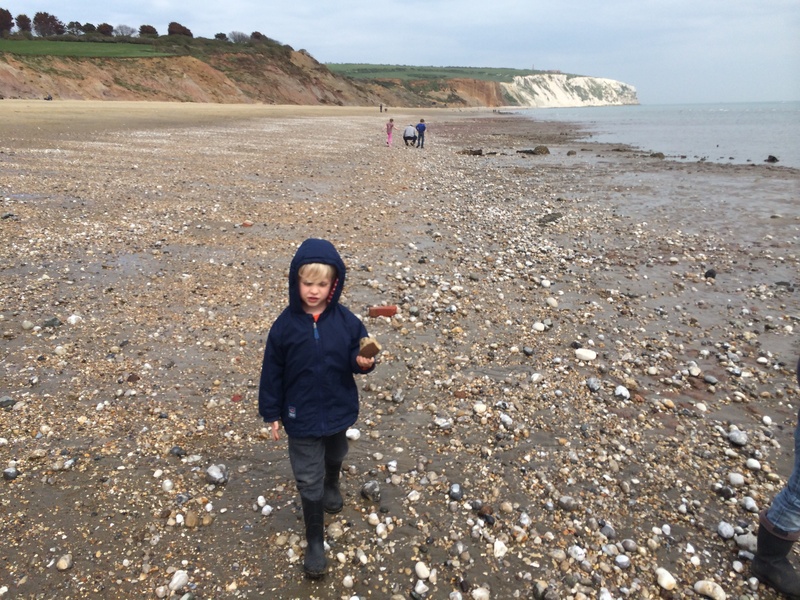 This entry was posted in Destination guides, Tips & ideas, UK and tagged Isle of Wight days out, Isle of Wight family holidays, Isle of Wight holidays, Manor Farm Cottage. Bookmark the permalink.